On Saturday we celebrated our 25th wedding anniversary with my parents up in Norfolk. 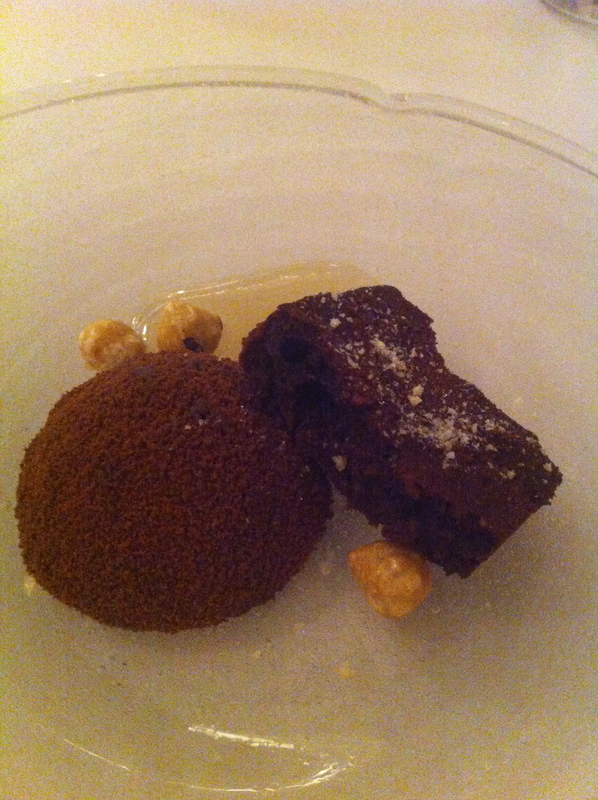 We chose to eat at Titchwell Manor as we really wanted an extra special meal to remember. 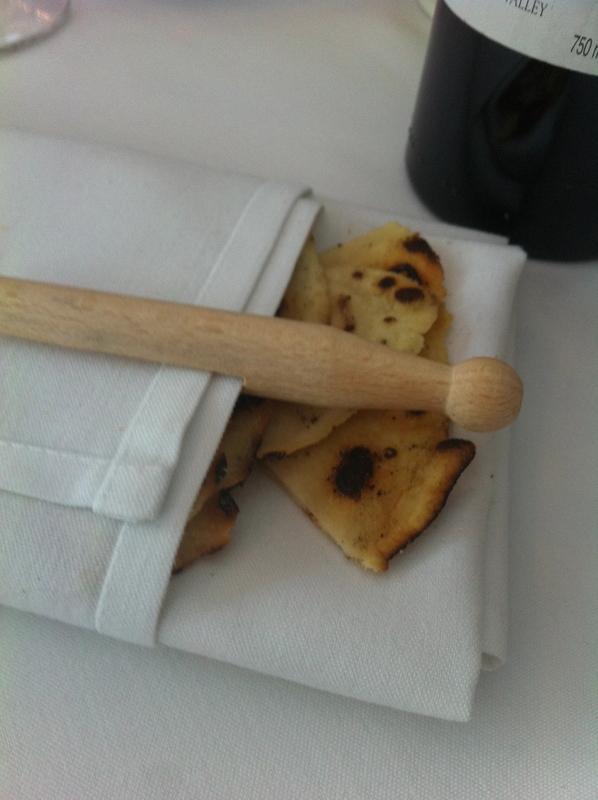 I contacted the head chef Eric Snaith and explained my many food intolerances gluten,onion, yeast including things like wine, vinegar, stock cubes. As always Eric was happy to cater for me and said he loved a challenge! It was going to be particularly challenging as we chose to have the conversation menu an 8 course menu with canapes. We arrived at Titchwell Manor at 6.30pm and started the evening with a glass of bubbly and canapes. 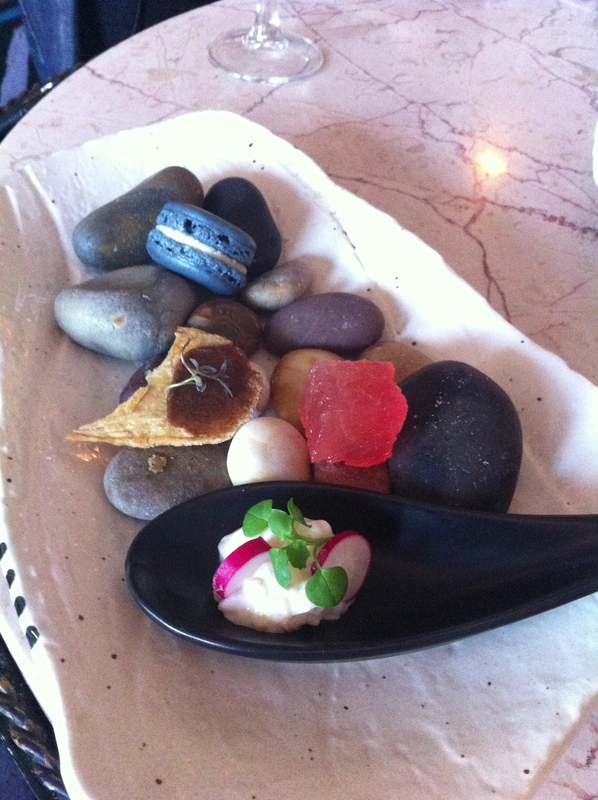 Mine served on a separate plate on a bed of pebbles. Sitting by the roaring fire sipping champagne was the perfect start to the evening. 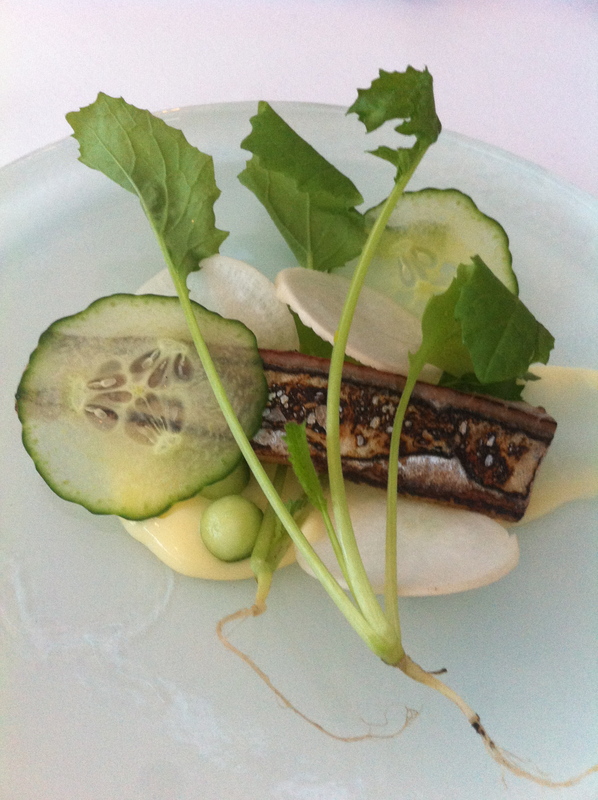 Later we moved through to the beautiful conservatory for our tasting menu. Our waitress was very knowledgeable about the different courses and aware of my intolerances. She even spoke to me about cross contamination, which was very reassuring. 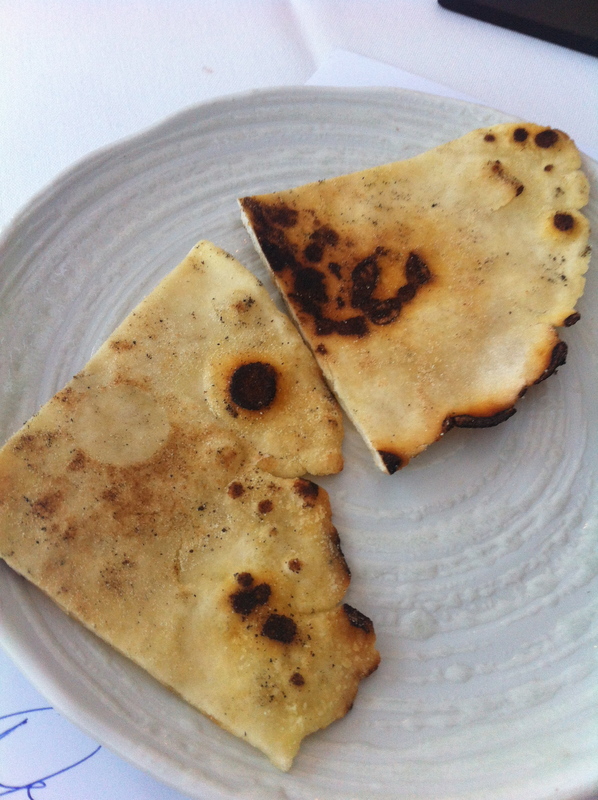 The flat bread gluten free and yeast free was delicious with the creamy lincolnshire butter. I’m excited by the simplest things, as normally have to watch while the family dig into the homemade rolls and butter in a restaurant. I remembered to take my butter first, to avoid cross contamination from my gluten eating family. 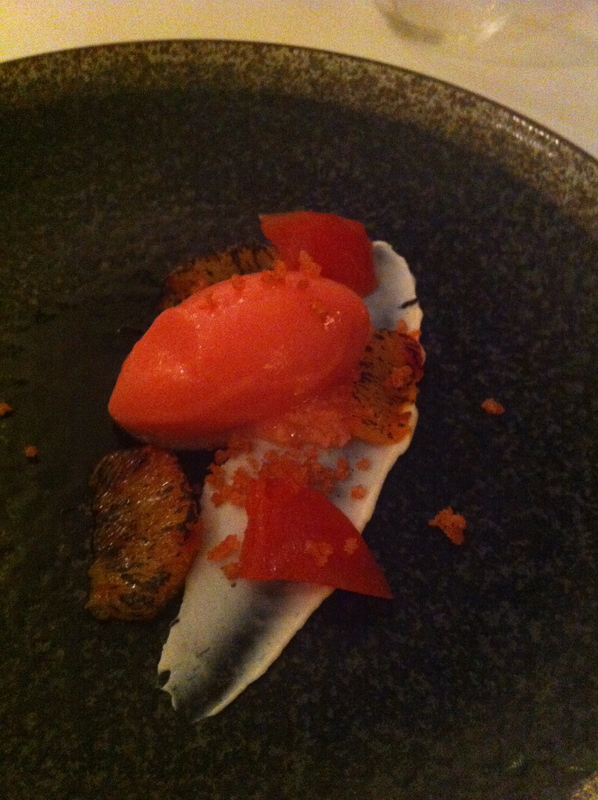 Rhubarb sorbet followed by a special gluten free chocolate cake for me. 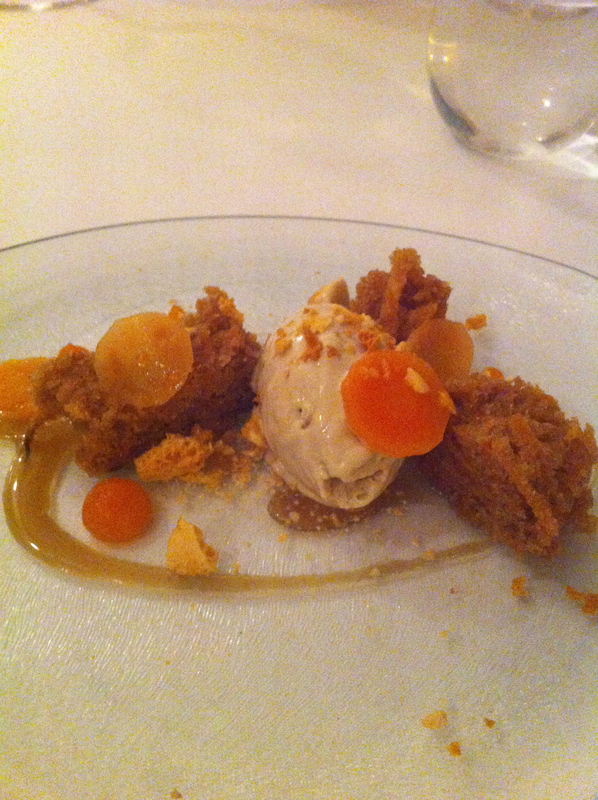 My special carrot cake with tonka bean ice cream, very impressive . Just some of the many courses. I was enjoying myself so much I forgot to take any more pictures. I think we counted 11 in total, served over a long leisurely evening. It was nice to leave, not feeling completely stuffed. 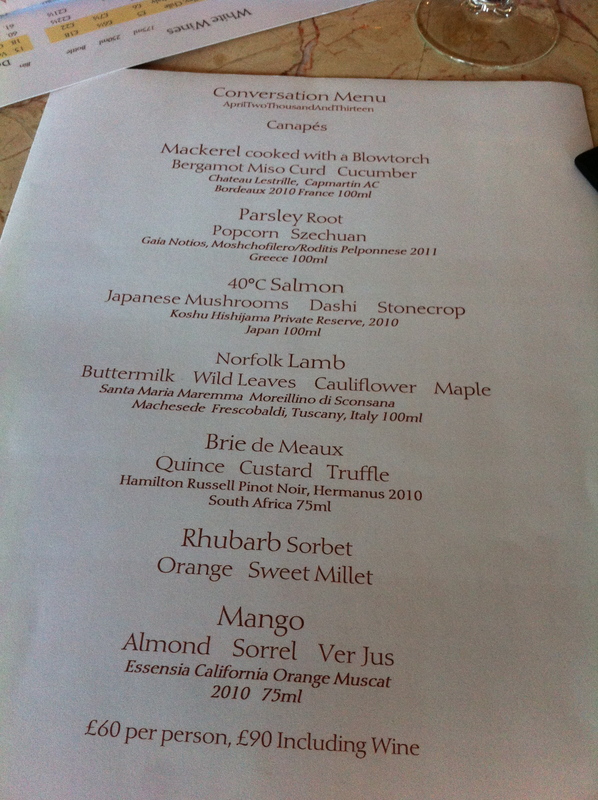 The meal was a real experience, with time to chat about the courses in between, hence Conversation menu. 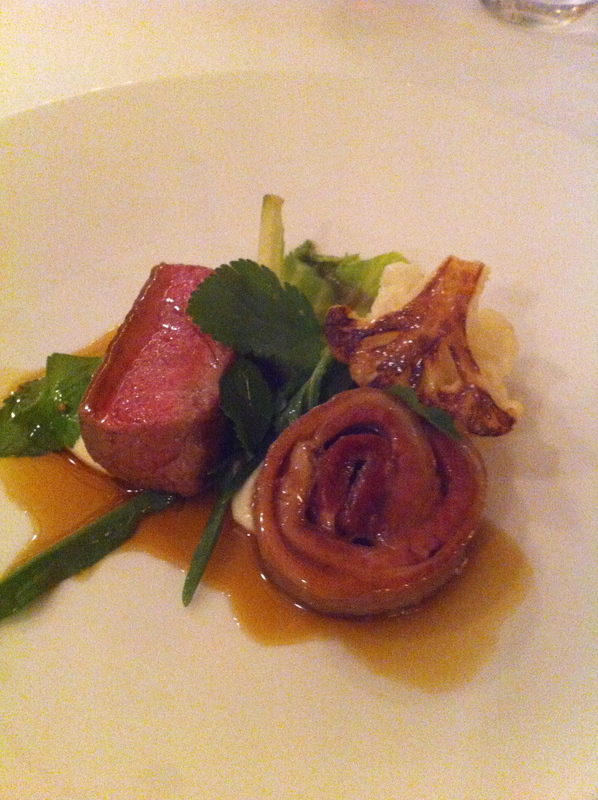 The dishes were beautifully presented and were little taste sensations. Having food intolerances did not take anything away from my eating pleasure. I would recommend this menu to anyone wanting an extra special evening out. Many thanks again to Eric and his team at Titchwell Manor, Norfolk. We will return very soon. Congratulations on your anniversary! Looks like you had an amazing meal, the dishes look beautiful.